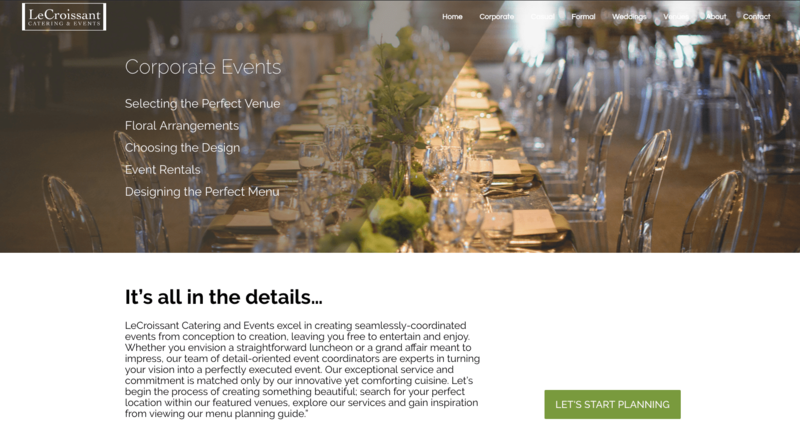 Utah caterer and event planner, LeCroissant Catering & Events, unveils it's new website! Utah caterer and event planner, LeCroissant Catering & Events, unveils it’s new website! Home > Business > Utah caterer and event planner, LeCroissant Catering & Events, unveils it’s new website! Welcome to our chic and cutting-edge new website! We have been beta-testing for the last couple months but the bugs are exterminated and we are ready to celebrate! As an award-winning company, we knew it was essential to have a fresh, new brand image for visitors, friends, and potential new clients, more access to images and pictures of our events and weddings, as well as to provide more in-depth information about our services. After winning our CATIEs, we knew we’d been recognized for our “Standard of Excellence” and we needed to push ourselves beyond, to continue to test ourselves, the industry and our services with the heights we could reach. The website was designed to include the latest in the web developing industry, and in particular to be “responsive”. 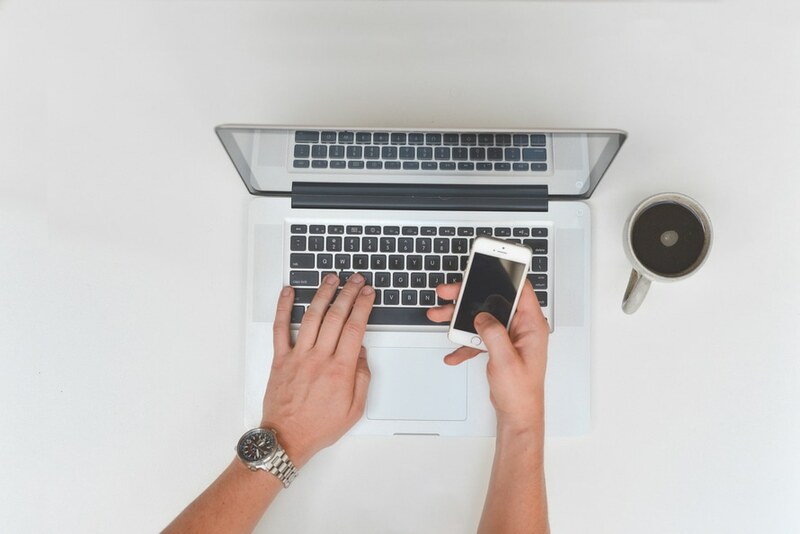 Responsively designed websites are aimed at providing an optimal interactive and viewing experience for users across multiple platforms including desktops, mobile phones and tablets. Responsive elements can include moving images as well as graphics that respond to user input, such as graphs and maps. 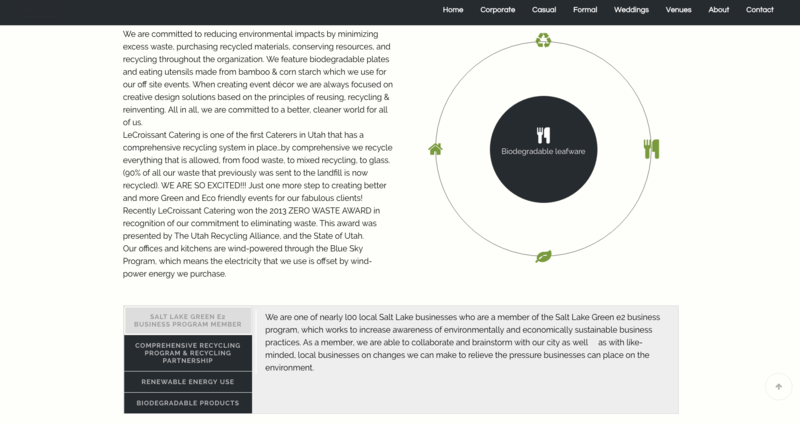 On our new site, you can see responsive elements like moving images behind text when you scroll down pages or on our “Eco-Chic” page in our informational green graphic. The goals of the new website included increased photography and video from the company’s past events, more ease for our clients to help custom build their own event menu, increased information about our full array of services including innovative and custom culinary catering, comprehensive event design, full-service event planning, and top-notch event services for corporate, formal and casual affairs as well as weddings. Additionally, the company wanted to unveil our new branding to convey the fresh, industry-leading image we believe encapsulates our ethos. Lastly, we wanted to bring more attention to out green business practices and the work we do with the community. 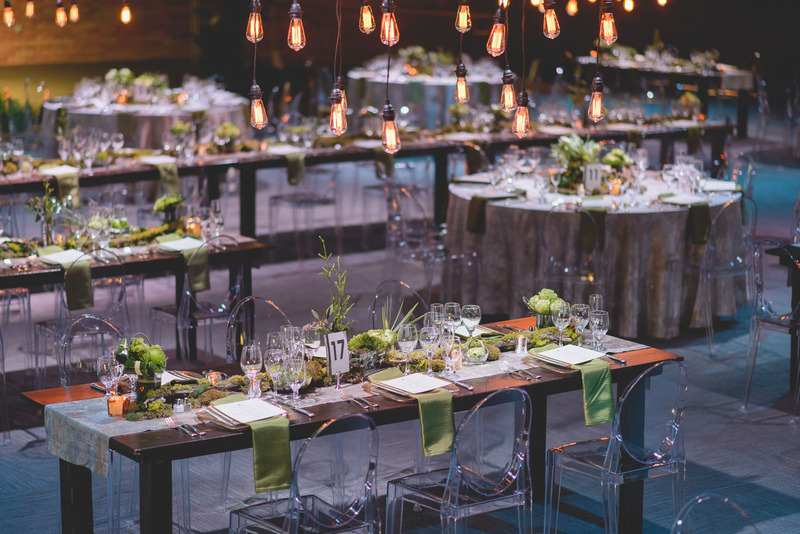 We detail our “eco-chic” business tenets as well as make it easy for community members to file donation requests with LeCroissant; we do over half a million dollars worth of donated services and catering for local Utah non-profits and cultural organizations! This new website is the culmination of 15 months worth of research, development, creation, implementation and beta testing and comes right after we won 3 industry Catered Through Innovative Excellence (CATIE) awards at the 2016 Catersource and Event Solutions Conference & Tradeshow back in March.We believe now is the perfect time for this unveiling. 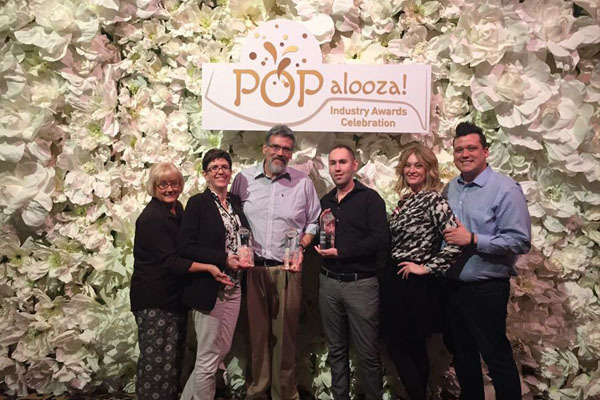 We made a huge impression on all our peers at Catersource by sweeping the awards show. We’ve grown exponentially each succeeding year. As a result we are seeing more interest and attention in our business. We want to ensure that, when people search us out online, they are seeing exactly who we are -what we do, what we believe in, as well as to get a glimpse at the experience they would have when working with us. We believe this website is like our curb appeal and we wanted to get it right!